Wouldn’t it be great if your dog could pee on command? This is especially useful when you’re short on time or the weather is rotten. The good news is, you can train your pooch to do so. Here’s how. 1. Choose a command. Some trainers suggest “hurry up”, but you might regret it one day when you’re in the house asking your spouse to get moving and the dog hears you. Something less ambiguous like “go pee” is better. 2. Be observant. Watch your pet so you’ll know the signs that he’s about to go. Sniffing around and walking quickly back and forth are some common indications. Also take note of the areas that he seems to particularly like to go. 3. Say the word. Utter your command every time your dog pees. Say it twice if the peeing takes long enough, but don’t make it sound like one long word. 4. Be consistent. Keep doing the previous step for a week or so. 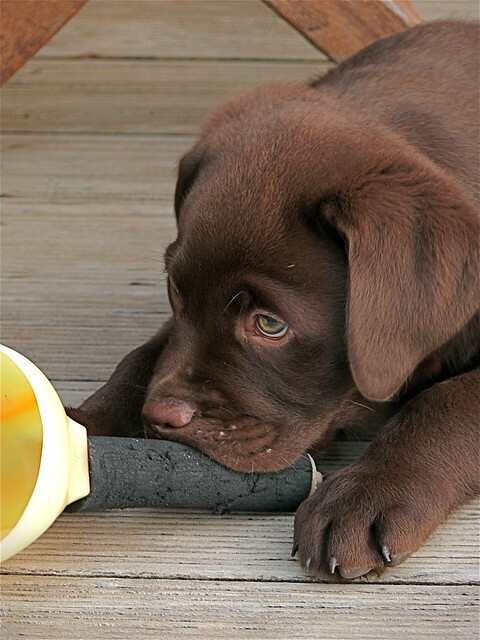 Your pooch will soon learn to associate the command with peeing just like Pavlov’s dogs associated the bell with food. 5. Try it out. After a week, take your dog to one of his favorite spots during a time when you think he’s likely to go. Say the command and see what happens. Your pet may not pee right away, but if he displays his “pre-pee” behaviors, wait some more. 6. Reinforce. Praise your dog generously when he does pee. 7. Have faith. If your pooch hasn’t learned to pee on command yet, go back to step 3 for another week. It will work eventually, so don’t give up just yet. * Your dog doesn’t speak English, so it doesn’t matter what the command is. If you’d rather not say “go pee” in public, “rutabaga” will work fine. Just remember to pick a word that your dog won’t confuse with other commands he already knows. * Food rewards aren’t necessary. Your dog needs to pee, so it’s something that will happen anyway. Just associate the command with the behavior while it’s taking place. * During the training period, it’s important to avoid saying the command when your dog is not peeing, as it will cause him to take longer to make the association. For example, when you try step 5 for the first time, don’t keep repeating the command until your dog pees. If it doesn’t work at that point, you need one more week of step 3.